In our previous article we made the statement that it is very important for our modern-day farmer, big or small, to be financially literate. In that article we focussed on the income statement or also known as the statement of financial result, the statement used to determine whether you are making a profit. The income statement measures your financial result over a period, something like a race. In a business the race normally takes a year which is known as the financial year. This article will focus on a balance sheet, also lately known as the statement of financial position and it measures the financial position of your business on a specific day. The financial position expresses the amount of assets in relation to the amount of liabilities or debt. Debt then indicating the amount of money you owe other people or financial institutions. But, the balance sheet is also used to determine the financial growth or progress of your business from one year to another. In normal practice you will have a balance sheet at the beginning of a financial year and one at the end of the year which you will then compare with each other. In Table 1 is a brief simplified outline of two Statements of Financial Position or Balance Sheets on a specific day at the beginning of a financial year and a day at the end of the year. Only a few examples of assets and liabilities are shown. First let’s first clarify a few terms. Assets are everything on the farm that belongs to you – such as tools, implements, machinery, vehicles, buildings, livestock. Liabilities is all the money you owe to financial institutions. The terms current, medium and long refers to actual years – when referring to assets it refers to the normal lifespan of assets. Current one to two years, medium normally five years and long-term ten years and longer. When referring to liabilities it means the time you have available in which to re-pay the loan. Current or also known as short term means you have one to two years to repay the loan, medium-term normally five years and long-term ten years and longer. 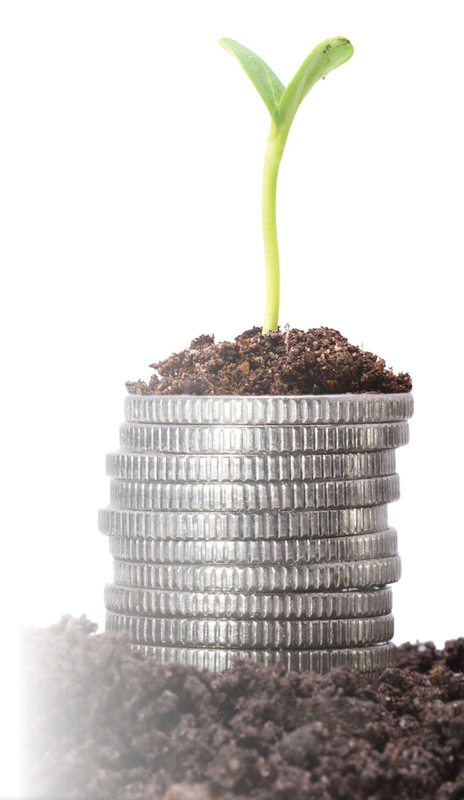 The term owner’s equity or capital employed is the value of the money out of your own pocket that you have invested in your farm and/or profits that you have re-invested in your farm. To be able to compile a balance sheet you need information. First, you need an asset register which is basically a list of everything that belongs to you and the money value of the items. Secondly, you must keep proper record of all liabilities. Why is a balance sheet important? From the balance one can determine whether your business is growing. That is done by determining the difference between the owner’s equity at the end of the financial year and at the beginning of the financial year. In our example the end of the year was 28 February 2018 and the beginning 1 March 2017. The difference then being R117 5000 minus R1 090 000 (figures J) which is positive by R85 000. It is always the end amount minus the amount in the beginning. When the result is positive, as in our example, it shows that your business has progressed during the year or it is in a better or stronger or safer position at the end of the year than in the beginning. This is not a profit or cash-flow, it is something else. You have invested more of your own funds and/or profits in your business and/or you have reduced the liabilities. The balance sheet can also indicate whether your business is solvent or not. To determine this, one must calculate the ratio between assets and liabilities. In our example the ratio between the total assets and the total liabilities is 2.58:1. (R1 520 000 (C) divided by R590 000 (H) and expressed as a ratio). This then means for every R2,58 of assets you have liabilities of R1,00. The recommendation is that this ratio must be at least 2:1, which means that your business is solvent and not so much at risk. Vice versa if you have more liabilities than assets, for instance the ratio is 0.5:1, then your business is basically insolvent. This is only one example of several ratios one can calculate from the information presented in a balance sheet and each one tells a different story of the financial success of your business. To be financially successful your business must make a profit (as determined from an income statement), the business must grow every year (determined from the balance sheet) and you must have cash available in your bank (cash-flow statement). However, to make a profit remains very important. If the business does not make a profit it will not grow, and you might not have money in the bank.